Thank you for your support of Shooting Beauty! 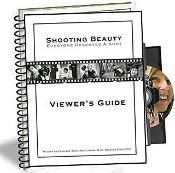 Proceeds from sales of our DVDs and products go directly into making Shooting Beauty programs available in communities around the world. If you have any questions or issues with your order please contact the Shooting Beauty team directly at shootbeauty@gmail.com or (702)-469-3119. Exclusive to Girl Scouts. 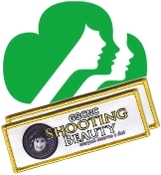 Additional patches to accompany the Shooting Beauty Girl Scout Patch Program. Please click HERE to return to the Shooting Beauty website.